Badass Movies: Is Mission: Impossible - Ghost Protocol Badass? 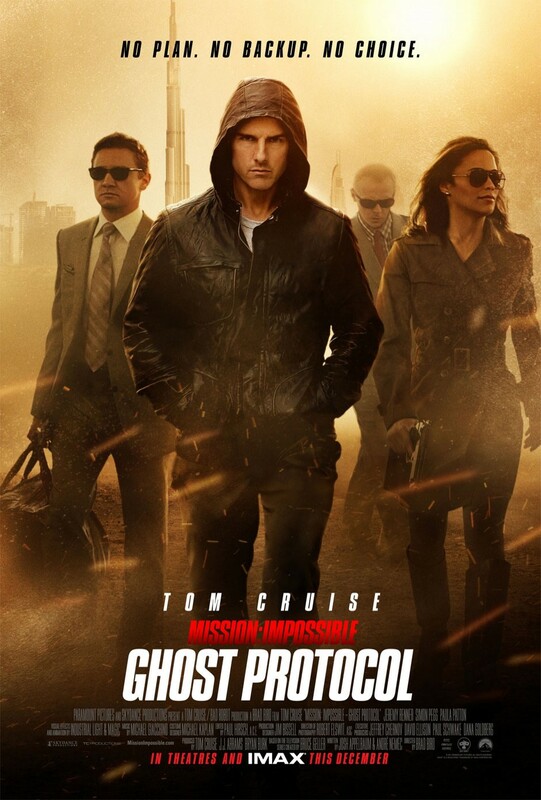 Is Mission: Impossible - Ghost Protocol Badass? My feelings on the Mission: Impossible franchise differ from just about everyone I know. Most people seem to like the first movie, hate the second, and just casually accept that the third exists. I find number one to be slow and boring, love the over-the-top action of the second, and think the third is utterly brilliant. I wasn't too keen on a fourth installment until it was announced that Brad Bird (The Iron Giant, The Incredibles, Ratatouille) was going to be the director. I love his animated features, and I really wanted to see what Bird could do with a live-action franchise known for stunts and action. Tonight I was lucky enough to attend an IMAX screening of Mission: Impossible - Ghost Protocol, and not only is it the best film in the franchise, it is absolutely Badass and one of the best action films in recent memory. In a plot straight out of the spy genre handbook, Russian nuclear launch codes are stolen by a terrorist, and the IMF has to retrieve them. Things go horribly wrong, the entire Impossible Mission Force is disavowed, and our heroes go rogue to prevent nuclear armageddon. What follows is a global chase punctuated by expertly choreographed action scenes. And these are the reason to see the movie. Bird's action scenes are highly detailed, visceral, smart, and legitimately thrilling. From a Russian prison break to Tom Cruise climbing and hanging off Dubai's Burj Khalifa (the world's tallest building), Bird proves he is a visual storyteller second to none. With all of the films being released over the next few weeks, it is possible that many will overlook M:I4. Do not make this mistake.